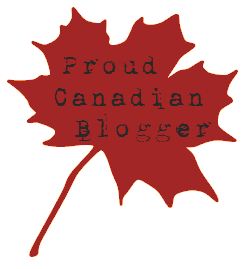 You will note that I haven’t been blogging as much these past couple of weeks as I settled into the routine of teaching full-time. To those who think that teachers have an “easy” time…I beg to differ…the earliest I’ve been home from school since it started was 5:00 p.m. Then, of course, I’ve brought papers and more to do at home, so I’ve usually not been done work until nearly 11 p.m. each night. Yes that includes the weekends too. Am I a keener? Nope. Just an ordinary Junior High School Teacher. Southern Alberta is buried under the earliest snowfall on record for Sept. 9th and 10th and after braving treacherous driving conditions to get to school this morning I learned too late that school was cancelled for the day. My white-knuckled driving was all for naught I suppose, but I decided to play “catch-up” with lesson planning and long-range goal setting since I was at the school anyway so I almost feel like I can actually take the afternoon off and not think about unfinished school work. Now, I’m not saying I like the idea of a SNOW DAY in September. It’s sad that on Saturday it was summer here and +25 C and today it’s snowing and -2 C. It’s like Alberta went from Summer to Winter and just skipped Fall entirely. Fall is such a neglected season here some years. The problem is that the trees were not in Winter mode yet, having not shed their summer greenery and leaves so this blast of winter has caused all kinds of problems as tree branches snap under the weight of heavy snow. Power outages and slick driving conditions have me already saying “Bah Humbug” to winter and it’s only September!!! Still, on my way home, my knuckles pale from gripping the steering wheel too tightly, while trying to avoid skittering off into a ditch all the way, I spotted something spectacular. 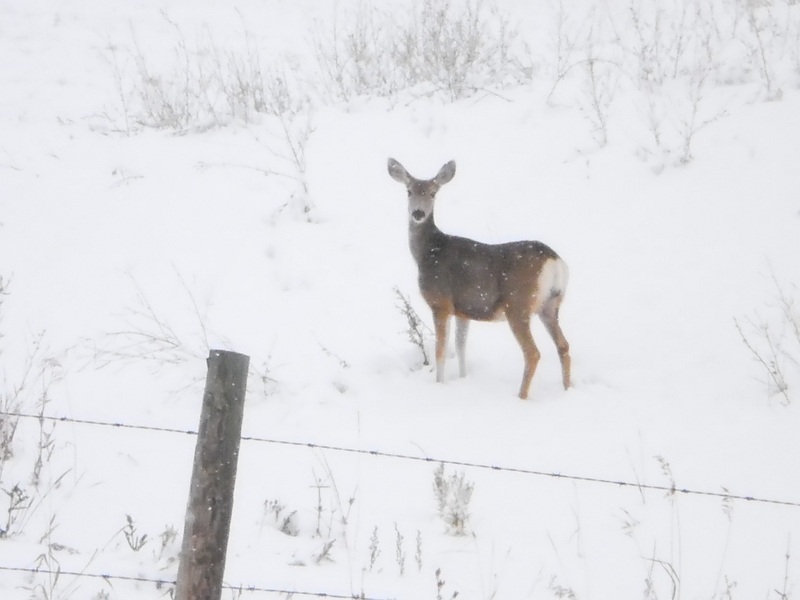 I stopped only metres from my driveway and snapped this picture of a white-tail. She looked just as bewildered about this sudden turn of weather as I was. I couldn’t help feeling awed and amazed by God’s creation around me. The snow will likely melt in a day or two, that’s the way it goes here in Alberta, but I will always have this memory of today and I can’t help but feeling blessed. This entry was posted in Family Life, Proverbs 16:9 - Journey Thoughts, Teach on, Teacher! and tagged Alberta, Junior High School, Sept. 10, Snow Day, Southern Alberta, treacherous driving conditions, winter. Bookmark the permalink.